Thinking of Upgrading your Current Coffee Machine and you’re unsure what to buy ? 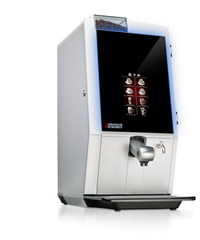 Well this Winter, look at the Auto Cafe Bean 2 Cup…A Coffee Machine with much much more…. Stainless Steel Parts means quality precision inside and out ! At only €6.50 per day or just 4 drinks per day will pay for this. And we will Give you 2000 drinks Absolutely free..
Go On .. call us to find out more!